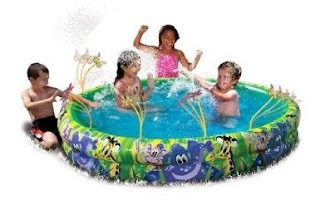 Banzai Spray N Splash Jungle Fun Pool Only $14.50 + Eligible for FREE Shipping! Hurry over to Amazon to score a Banzai Spray N Splash Jungle Fun Pool for only $14.50! If you have Prime or make $25+ order, you'll also get FREE shipping! This has a list price of $37.99 and has several wiggling sprinklers attached to the pool.